the sparkling blue waters of one of the world’s finest harbors. 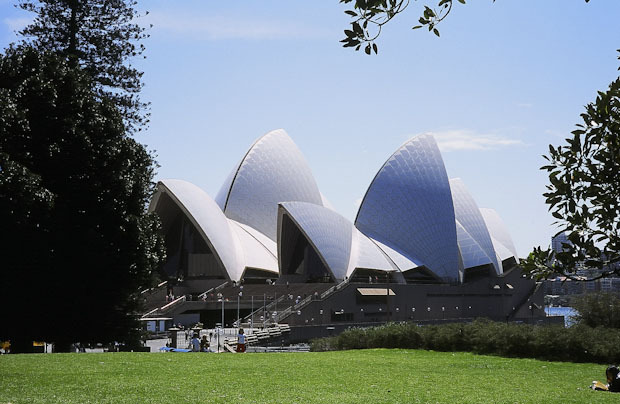 A view of the Sydney Opera House, one of Australia’s remarkable claims to fame. Looking like a building within a building within a building, its dramatic curves and intersecting angles inspire an emotional response whether you are looking at it inside or out. Sitting high atop the original construction of the Opera House, safety standards then would not meet OSHA standards of today. from serving in the Vietnam War. The building has created a lasting impression. Early construction photos instantly give one the idea of the massive amount of structural ingenuity that went into the design of this building. Australia’s own opera diva soprano Dame Joan Sutherland. Games, with 176 performances of 35 different events over a six-week period. million; it ended up costing close to $75 million. How did the saga begin? petitioned New South Wales state premier Joseph Cahill. 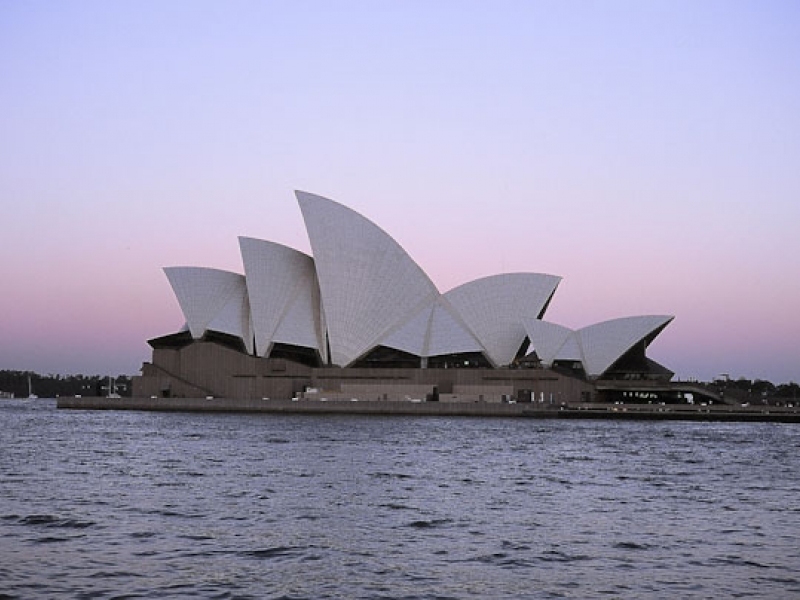 Danish Architect, Joern Utzon, shows the concept design for the Sydney Opera House. Thousands of hours of research developed the idea of a “sliced sphere” to form the roofs. emphasis on a supporting platform, based on his early inspiration from shipbuilding. facade” on the other hand, looked impossible to build. 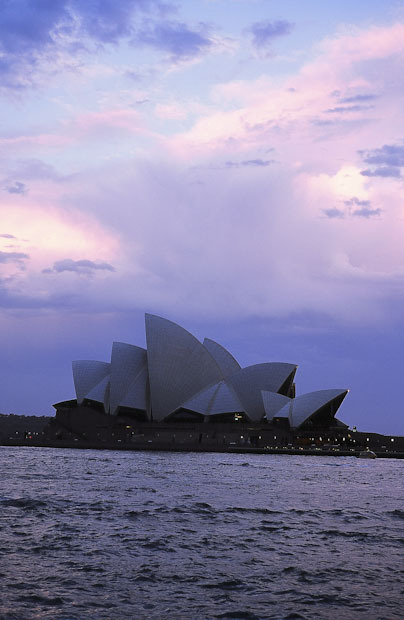 Sure, it looked dramatic, but Utzon’s early designs did not work mathematically. to stay up and for the building to hold together, a solution was imperative. 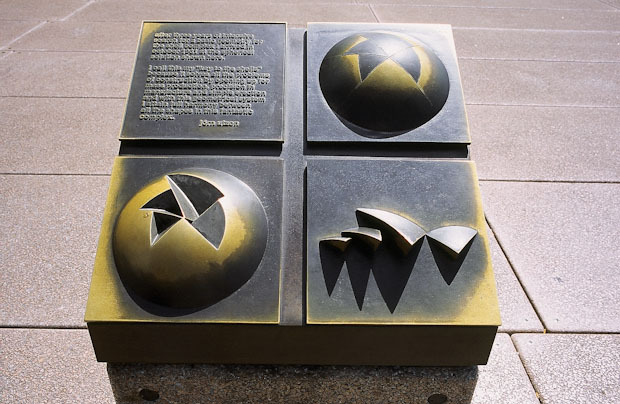 This bronze model outside the Opera House shows Utzon’s idea, arrived at after thousands of hours theorizing, to base the roof shells on a sphere. All shapes have the same radius, greatly simplifying construction. or any number of adjoining shapes. All have the same radius, simplifying construction. been made in San Francisco. For the Sydney Opera House, epoxy resin was used. 26,799 tons. A total of 7,442 square yards of glass were used in the windows. are painted off-white and beige to reveal their distinctive chevron shapes. be allowed under today’s stringent health and safety regulations. 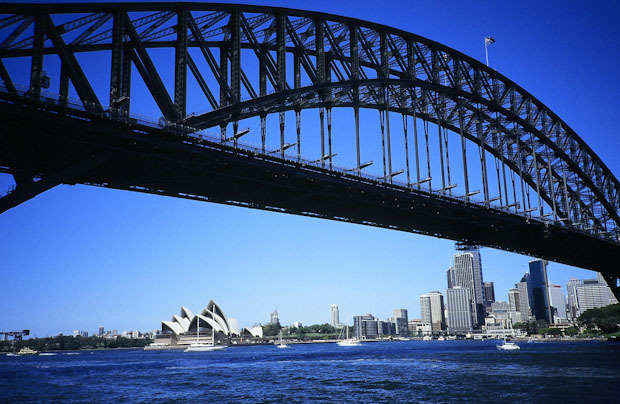 A ferry trip takes passengers underneath the Sydney Harbor Bridge. Known as the “Coathanger”, the single-span arch bridge took eight years to build and is itself an architectural triumph. in disgust in 1966. marches on parliament took place, but Utzon had had enough. Concert Hall was intended to serve for opera, ballet, symphonies and concerts. make this difficult: if you are singing, you need a short reverberation time. hall, Lucia di Lammermoor would sound more mad than usual, explains Sally. The front north-facing is reminiscent of the bridge of a ship, with views over the harbor and the harbor bridge. 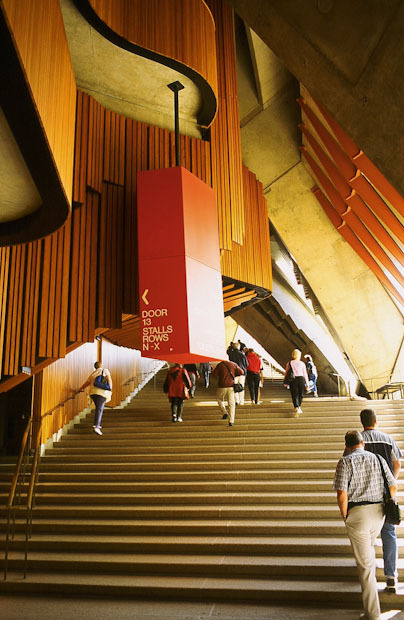 A dramatic mix of wood and concrete, the Sydney Opera House is a wonder just to see, even without viewing a concert or play. with the Opera House’s latest refurbishments. 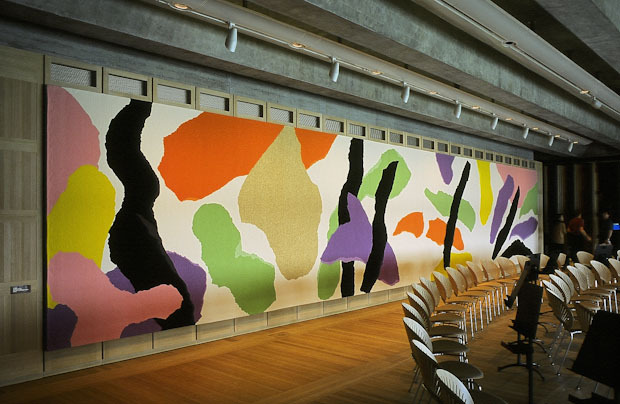 The tapestry in the Utzon Room, only opened this year, celebrates the work of the Sydney Opera House’s original architect, Joern Utzon. of natural timbers and finishes, and a striking 14m tapestry, designed by Utzon. 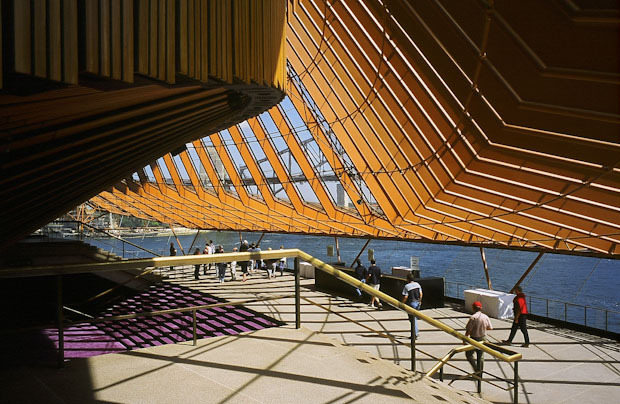 by Utzon’s daughter and artist, Lin. 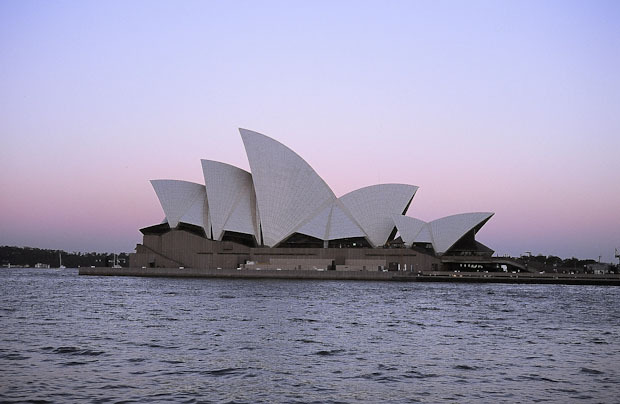 The architect is thrilled to be involved with the Opera House refurbishment. 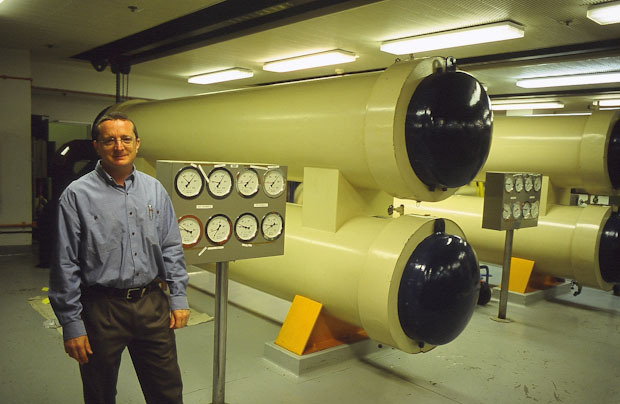 Acting facilities director Paul Ackhurst in the main plant room. Ackhurst is responsible for behind-the-scenes maintenance to ensure all systems are running smoothly. with parcels to deliver made a mistake. doubt wanting some culture, wandered on stage. topaz and white glass is more labor intensive. levels are expressed by their height above sea level. economical, considering the size and scale of the Opera House. annually. How is this done? Carefully, via precipitous catwalks. of the roof shells for an invigorating but dizzying view. a building inside a building inside another building,” says Ackhurst. works that celebrate art and beauty.